The 2016-17 structure for the Jersey Combination is four divisions, the top two of which are exclusively reserved for first teams. Below that, Division One is wholly reserve teams and Division Two a mixture of reserve and third teams. Third teams are known locally as "C" teams but are referred to here as "A" teams to maintain consistency within the site. 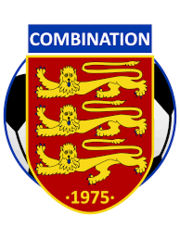 The current league dates back to 1975 when the Jersey Football League and the Jersey Saturday League merged. 2008�09 St Paul's Portuguese St Paul's reserves First Tower United reserves Grouville "A"
2009�10 St Paul's Jersey Wanderers Grouville reserves Trinity reserves Grouville "A"
2010�11 St Paul's First Tower United Jersey Wanderers reserves St Peter reserves St Peter "A"
2011�12 Jersey Scottish St Brelade Jersey Scottish reserves St Martin/SCF reserves St Clement "A"
2012�13 Jersey Scottish Trinity St Peter reserves St Paul's reserves St Peter "A"
2013�14 St Paul's First Tower United Jersey Scottish reserves Grouville reserves St Peter "A"
2014�15 St Paul's St John St Paul's reserves JTC Jersey Wanderers reserves St Peter "A"
For 2015-16, an experimental system was used. All first teams played together, meeting each other once in the first half of the season before the top 8 clubs split off to form the Premiership with the bottom forming the Championship. At the same time, Division 3 was merged into Division 2. This lasted just one season and for 2016-17 the league reverted to a more traditional format for the top two divisions. 2015�16 St Paul's Rozel Rovers St Ouen reserves St Peter "A"